The step over apple is the bonsai of fruit growing. Though the trees are tiny, you can grow any size of fruit—a big apple on a small tree gives surprising satisfaction, while dainty varieties can look equally tempting. And as well as being a delight to look at (pollinators as well as plot holders love them), they provide an unusual and productive way to edge a path or divide a bed on your plot. Type: They are straightforward to create but must be pruned with care from the beginning and thereafter, each year. 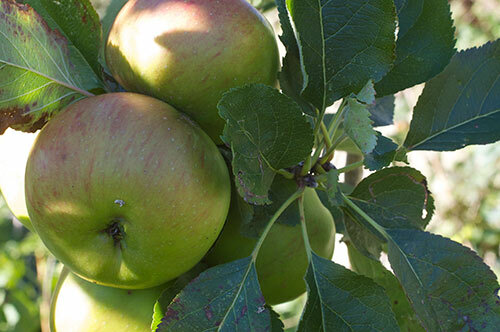 A range of varieties can be pruned in this way but beware: select only spur-fruited apples grown on a dwarf rootstock (M27), otherwise your 'step' will be impossible to tame. Check too whether your chosen variety is self-pollinating or not. Method: There are two methods described by experts. The first is a 'low, horizontal cordon' which requires you to bend over the main stem during its first growing season (from planting a maiden whip in autumn) so that it lies parallel to the ground. 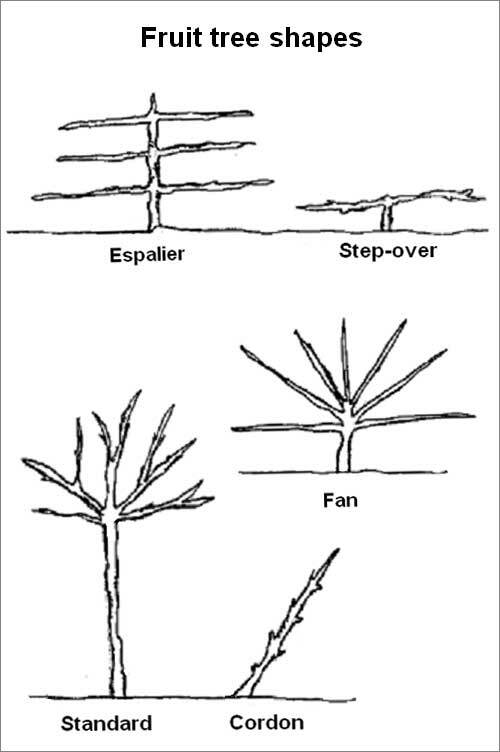 The second is to create a T-shape in the form of a single espalier. Both require a 'maiden whip', a year-old, single stemmed tree, which can be planted throughout the winter season (best by end November and from February to end March). Training for both starts in spring. In advance, you must also create support for the stepover in its early years—use strong stakes bearing horizontal wires placed 40 to 50cm off the ground. Plant the maiden whip next to the central post. The bend over method is simple but must be done gently over the course of the first growing season. Shorten any side branches that develop to three leaves. Prune the main stem to a strong bud, once it reaches its required length. For the T-shape, plant the whip in autumn. Cut the leading stem to a strong bud, the height you want the step-over. In spring, let three shoots develop at the top of the stem and during the summer, choose the best two to train along the wires in opposite directions. Prune out the third shoot to one bud and rub off any other buds on the main stem. When the shoots reach about 60cm in length, prune them to a strong bud. Every summer after, prune new growth from the main branches to three leaves above the lowest cluster of leaves on the shoot. Shorten side shoots to one leaf. You can find out more about stepover apples on the RHS website.